More Millennials are moving to Charlotte, NC than any other city in the United States. This stat comes from the 2015 U.S. Census Bureau which rated Charlotte with a 10,707 net migration figure for people between the ages of 20 and 34. 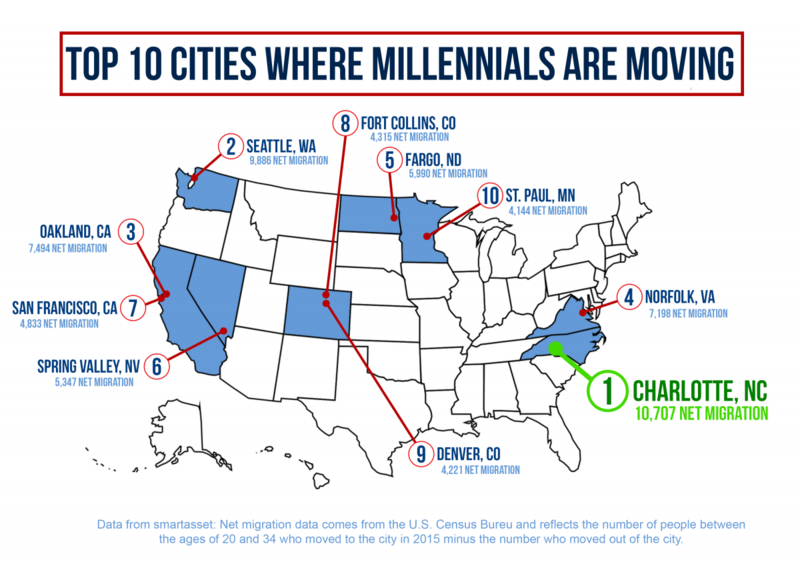 Net migration = the # of Millennials who moved into Charlotte minus the # of Millennials who moved out. Uniqueness – interesting architecture, history, geography, and local culture. I would like to live in such a place as well and I’m 62. And – because I’m theologically wired to return back to Church World – what does this mean for our congregations? How many of our congregations reflect the features highlighted above? How many of our churches are authentically connected, lively, radically inclusive, urgently innovative, ecocentric, healthy, engaged in economic partnerships, and uniquely interesting? What will be The Millennial Plan for the 21st Century Church? It has nothing to do with drums, guitars, screens, or “how to get Millennials to fill out church pledge cards.” It has everything to do with authentic relationships with each other and with the world in which we find ourselves. This is going to take some pondering, prayer and deep discernment, my friends – no matter where we live if we are serious about serving younger generations (and maybe all generations) in the future. 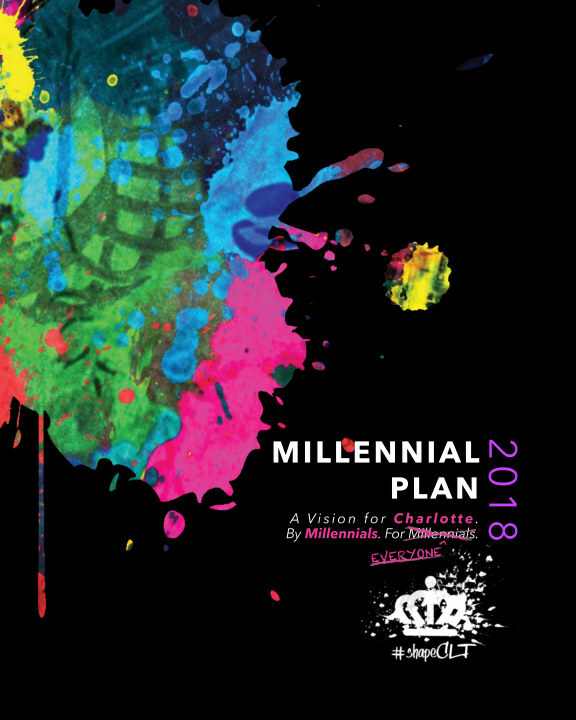 You can order the 2018 Charlotte Millennial Plan here. Even if you don’t live in Charlotte, you might discover insights for your city, town, or suburb.